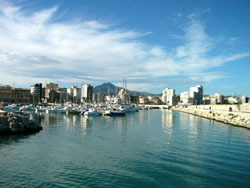 Gandia (population 43,000) is 69km south of Valencia on the Mediterranean coast. Highly tourist oriented, this lively working town lies in a pretty area surrounded by endless fields of citrus groves. 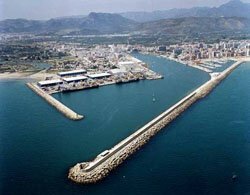 Together with a large fishing trade and good harbour the town also has a fine yacht club, and long sandy beaches that are second to none in Spain. The centre of Gandia has numerous palm tree promenades with bars, restaurants and shops, and the 14th century Palacio Ducal de los Borja is a Spanish national monument. To sum it up, Gandia is a lovely city with a great mix of shopping, sport and beaches. Browse Gandia property for sale listings.